Mark Mathis is not your typical conference speaker. He brings the same kind of contrarian thinking and incisive analysis that you see in his films to every live event. His unconventional, entertaining, yet highly-informative presentations have made him a favorite, especially in the energy sector. Mark has been a keynote speaker for dozens of organizations over the past 20 years, including the National Football League, Saudi Arabia’s International Speaker Program, the Independent Petroleum Association of America, American Fuel and Petrochemical Manufacturers, as well as state oil & gas organizations (CIPA, COGA, COPAS, IPANM, KIOGA, LAGCOE, MPA, NADOA, NMOGA, OOGA, PBLA, Shale Insight, UAPL, WEA, WSPA) and others. Many of the organizations that have invited Mark to speak at their conferences have invited him back in succeeding years. Is your company under attack by an activist group? Do you need crisis communications assistance? Are you seeking positive media coverage on a project or event? We can help with that. In addition to producing films and videos on controversial and misunderstood energy issues, Mark Mathis advises energy producers on developing more effective public communication. Mark wrote the definitive rules-based book on how to understand and work with the news media. 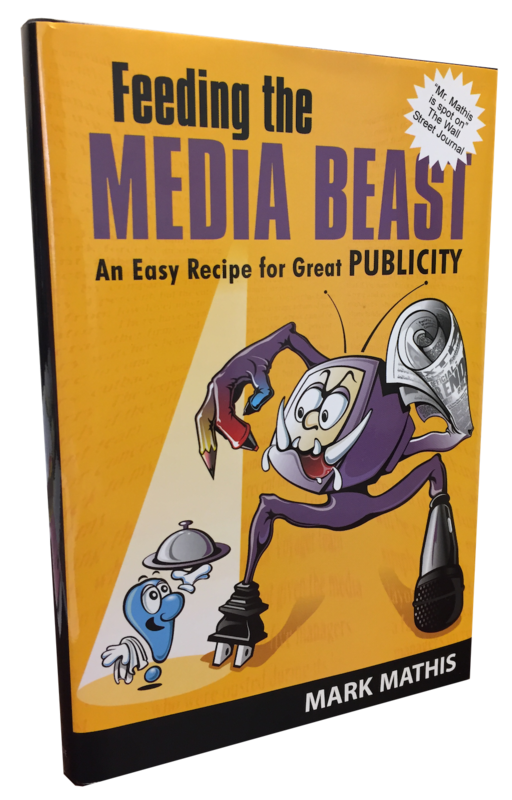 Feeding the Media Beast (Purdue University Press, 2002) has sold many thousands of copies in the United States and around the world. The book is also published in China, Russia, India and South Korea. PR professionals use it as a handbook, but Mark also consults with companies requiring an individualized and analytical approach to a problem or publicity. Some of the corporations and organizations that have enlisted the consulting services of Mark Mathis over the past twenty years include: The U.S. Department of Justice, the Independent Petroleum Association of New Mexico, Intel Corporation, Victoria’s Secret Catalog, the University of New Mexico, Gateway Computers, and many other small and mid-sized entities.